• Total fee is $60. Pay with Cash, Credit, Debit or PayPal. • Picture ID is required for attendance. • A Certificate is issued upon successful completion of the program. 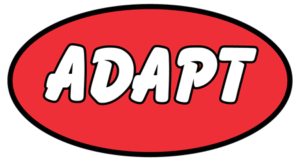 • Register Online any time, or in person at ADAPT (5110 Wilkinson Dr. #108, Corpus Christi). • Office Hours: 9AM to 9PM weekdays; 9AM to 3PM weekends. Students younger than 16 years must have a parent or legal guardian present in order to register. Your registration does not “lock you in” to a particular date and is good for 6 months. on the first day of class, provided there are still seats available. Options available for Spanish-speaking students.